Love this! We just got asked to do "colorful" desserts for an anniversary party and this looks gorgeous. I especially like the little larger size; it would be great for this party. I can’t believe I’m posting in this thread as I have no baking cred whatsoever and am amazed by the creations I see posted by the rest of you but I wanted to credit tikidoc and Kerry Beal for the wonderful cream scones I made this morning. Today’s our last work day prior to a one week holiday shutdown and my little peach tree was laden so I thought I’d treat my group to breakfast. I provided a huge bowl of sliced fresh peaches, tubs of Greek yogurt and some homemade granola, along with 2 batches of the cream scones that tikidoc posted over here in Kerry and Anna’s blog last month. I added orange zest, dried cranberries (plumped in a little OJ) toasted pecans and a little rosemary. Yummmmmm! Everyone raved! And easy enough that even I could pull it together before work. 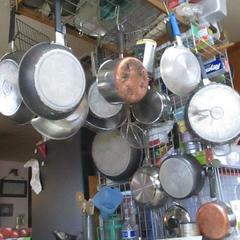 Sorry, I forgot to snap a photo but I will surely be making these again. 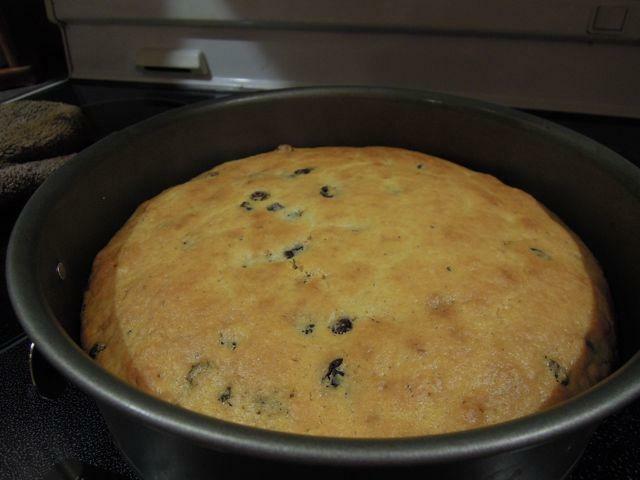 I’m thinking dried tart cherries, walnuts and chocolate chips would be a winner. 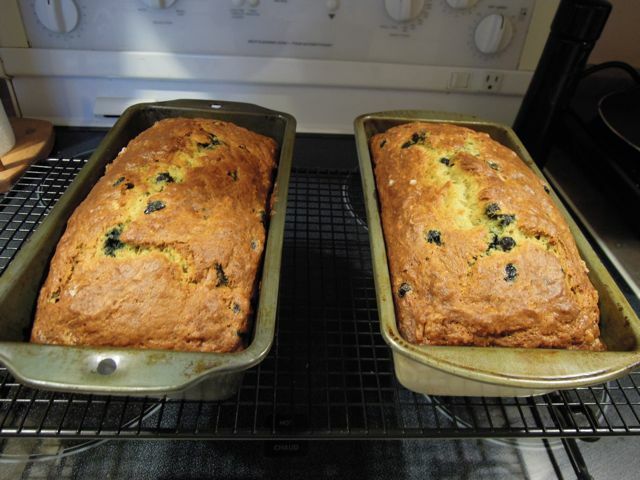 Thanks to tikidoc for posting the recipe and to Kerry for posting about them during her blog. Cool! So glad you enjoyed them, they are super easy! Make sure to post your pictures when you make them again! KA – Mr. Kim would love your spicy candy! BTW, I mentioned (and thanked you) on the dinner thread. Curls – your cherry pie is just perfection – the crust, the filling – everything. Pastrygirl – gorgeous macarons! 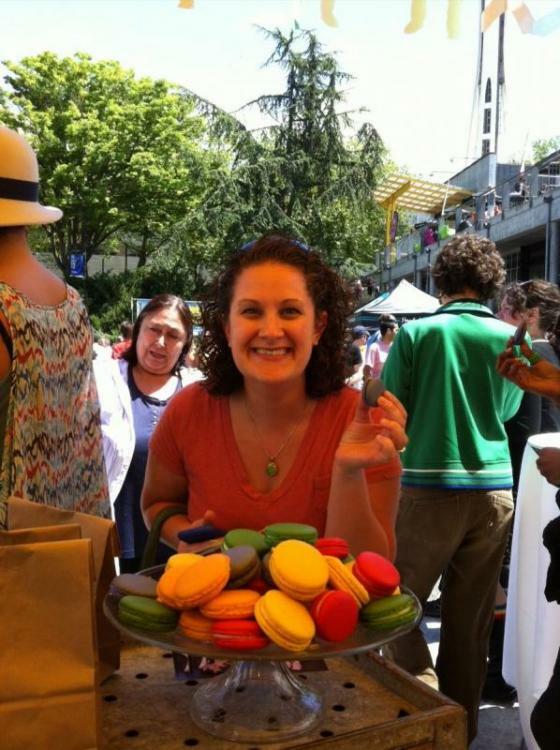 I’m shaking in my sandals – my 15 year old niece shares my cooking/crafting interests and wants to come over and join me in trying to make macarons this summer. She knows I’ve never done it before, but I hate that I might disappoint her. I’ll be reading everything I can about them and praying that ours look 1/4 as good as those! Blueberry-Lemon Muffins from a Food Network recipe. Very good. Thanks Jeanne! The orange & yellow were AmeriColor gel, and the rest were Spectrum gel color, the purple being their 'regal purple'. I was least happy with the purple, it came out more lavender like in the top photo, not as saturated as the other colors. Plus, those got a little brown, I guess my oven was hotter than for the other colors. I don't cook my meringue, just do French, so I added the color towards the end of whipping the whites. It was pretty fun to do something so colorful, I gotta admit! I put on a chocolate high tea for some friends, as a fundraiser, and had a great time planning out what to make - I took the opportunity to try some things I'd seen and never had the chance to play with, and overall was very happy with how it all came out. For savouries I just did some savouries, wanted to focus all the fun onto the pastries. 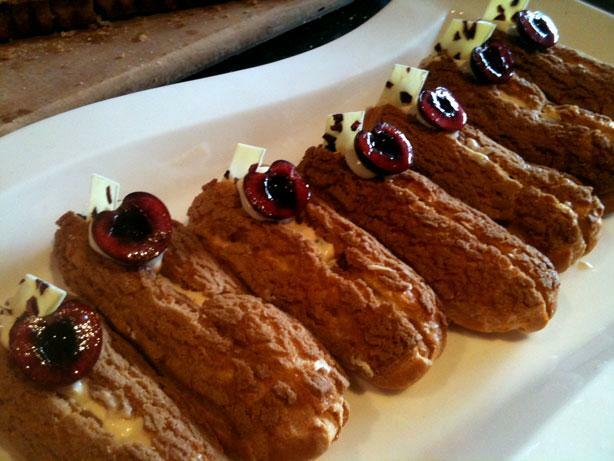 Firstly there were white chocolate and cherry eclairs (white choc pastry cream with chunks of cherry). 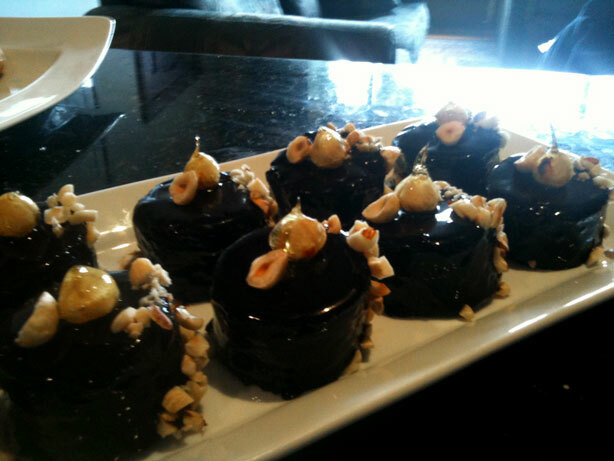 Then some flourless hazelnut, date and chocolate cakes with a chocolate glaze. These turned out really well but were very messy/fiddly to get onto a platter so the whole thing looked slightly slipshod. I think the individual cake cardboard things would have been a great help here. 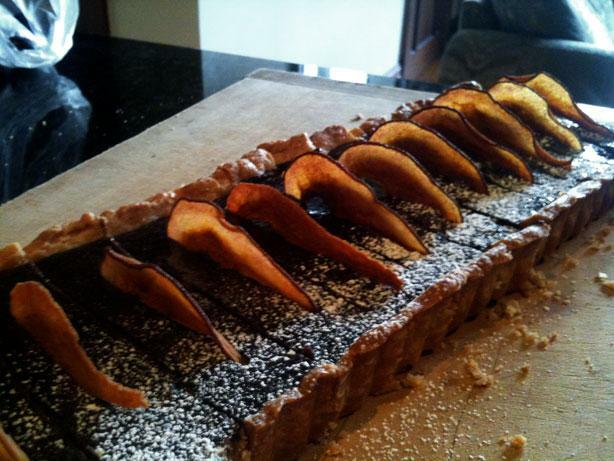 And finally a pear and ginger chocolate tart. Wonderful looking goodies. I would have liked to attend that tea. You went to a lot of work, SLS. The mascarpone strawberry pie and madeleines from the Ladurée sweet book. I just love this book! Back up north working again - so baking pretty much every day. 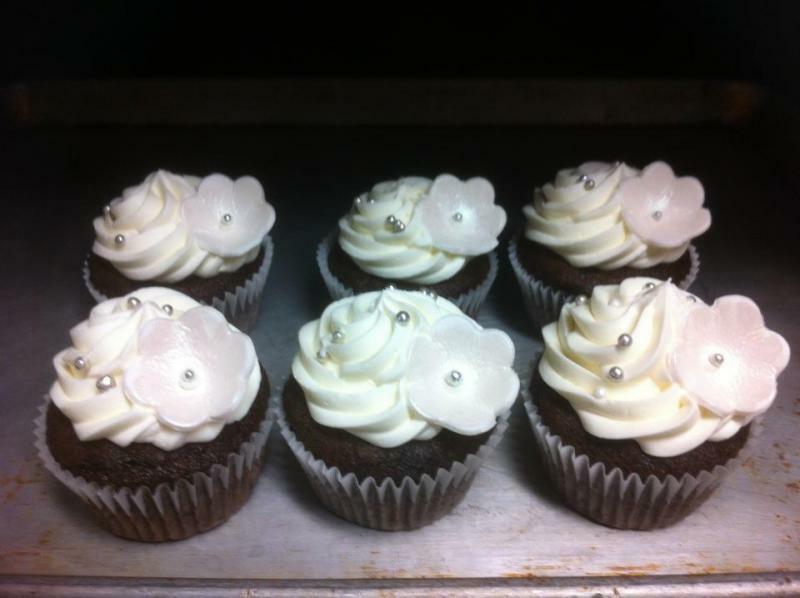 A few cupcakes from a wedding this past weekend. Banana bread is easy to put together for sure - but always requires a much longer baking than you think it should. Test with a toothpick or broom straw until no damp batter clings to the pick. It always comes out much darker than you think is right. 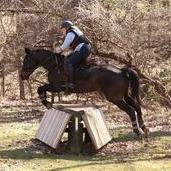 Teisen lap - thank you MrsSheepish! Got a call from one of the docs this am to say that she and her daughters had picked a basket of strawberries for me. On my way out the door to fetch them, my neighbour asked if I wanted some of her glut of rhubarb. How fortuitous! 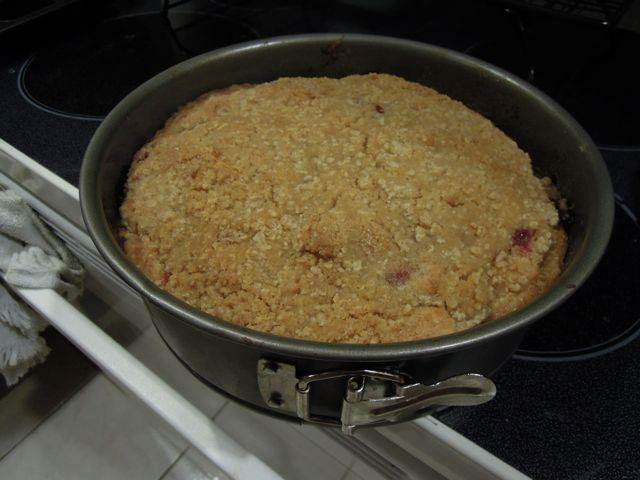 For rounds tomorrow I made a Rhubarb Date cake to which I added some strawberries. 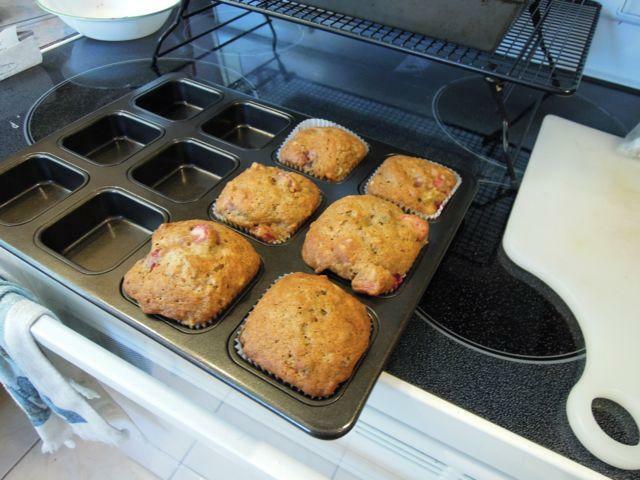 I doubled the batch and made 6 muffins so the rug rat will be able to take them to the sitter tomorrow (well 5 of them anyway). 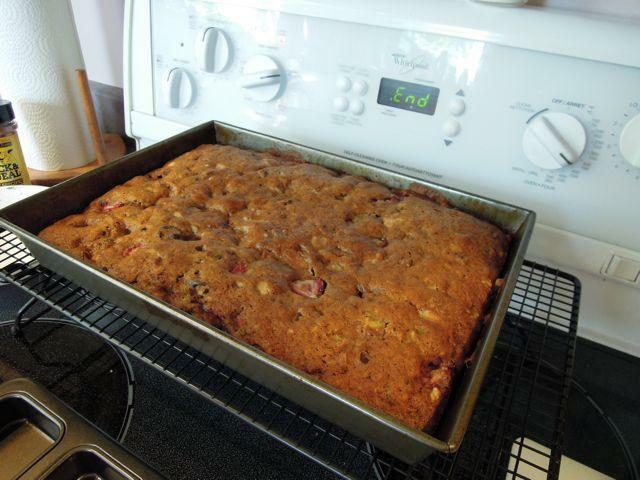 I also made a strawberry rhubarb buckle to take out to the reserve tomorrow. A heck of a lot cheaper to make than a blueberry version if you have to buy the 4 cups of berries to put in it rather than pick your own. I also made a 1/3 of a batch of Tikidoc's Cream Scones for strawberry shortcake for the rug rat for dessert. A lot of food goes in and comes back out - this stayed in! SLS – gorgeous goodies! And those cherries look amazingly rich and juicy! Douglas – delicious looking strawberry pie and what a lovely setting! 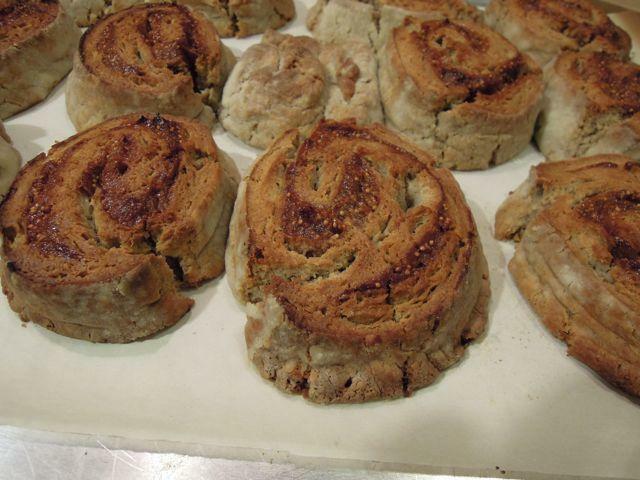 Kerry – love the figgy scones! RWood – beautiful cupcakes – do you know the size of your decorating tip? Incredibly easy and really delicious. Just chocolate wafer cookies, peanut butter whipped cream and bananas layered in a springform pan. 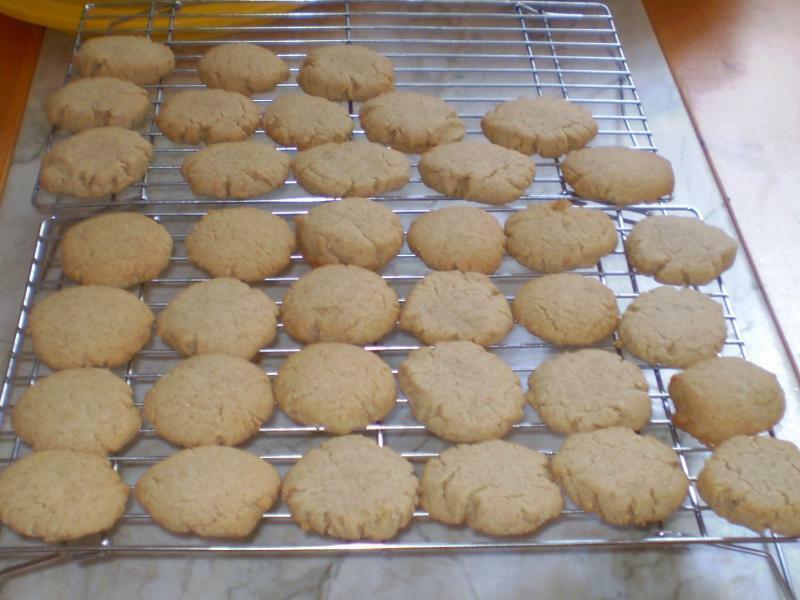 The cookies turn cake-like with the moisture. Recommended on Pinterest by our Randi. So tender and good – really lemony and they really do melt in your mouth! Nigella Lawson's Rhubarb Polenta Cake with the addition of some strawberries to make up for the lack of rhubarb and a goodly amount of powdered ginger. 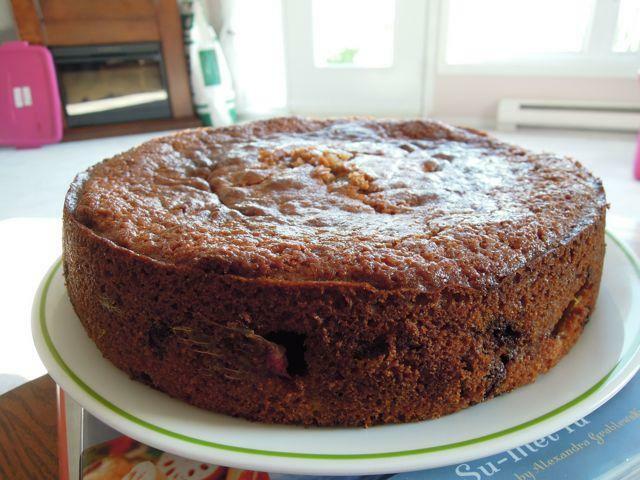 There is another recipe online that uses crystallized ginger in this cake - and unfortunately I don't have any with me right now. Kim, I looked and I think I used an Ateco 825 star tip. Thanks for the Kelsey Nixon cake. Just lovely. Found the recipe online. I have a friend who loves peanut butter and chocolate and each year for her birthday, I make her some featuring both. This sounds like fun (and so simple). Sometimes I gotta go with simple. And yummy. But simple. 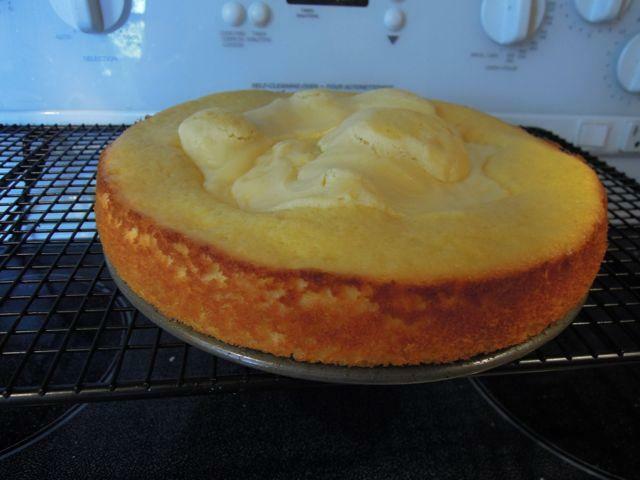 Lemony Cream Butter Cake - which might be better named 'Alien Cream Butter Cake'. Couple of loaves of banana bread with wild blueberries. Those loaves look Yummy! 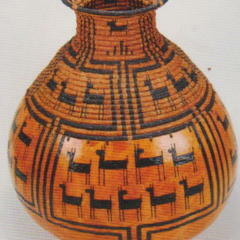 The heat wave has broken for a day here so I think I might make a couple of those for myself. 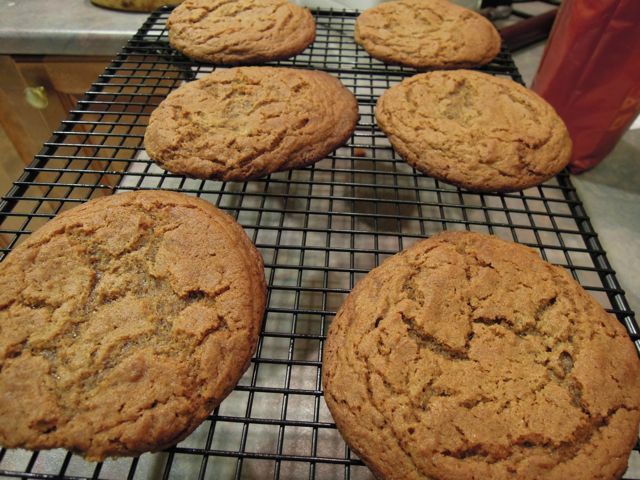 I made these again - cut down both sugars, and used roasted almonds instead of macadamia nuts.